As President Susan J. Hunter gets ready to leave the University of Maine, previous members of her staff have reflected on their experiences in working with her. Jim Settele worked with President Hunter as her chief of staff. “I’ve worked with her since 2009 in some capacity or another. When I met her, she was actually the associate provost and I was the director of the School of Policy and International Affairs,” Settele said. He held this position for two and a half years until the chief of staff position opened up. “She [President Hunter] needed a new chief of staff and she knew that I had done this for the Secretary of Defense and she goes, ‘If he can do it for Secretary Rumsfeld, he can do it for me,’” Settele said. As Settele began to reflect on his time working with President Hunter, he recalled some of the many conversations that the duo had. “We talked a lot about leadership, we talked a lot about how to get things done and just spent an awfully long amount of time talking about how we can make the University of Maine a better place. It was a constant discussion coming from her. It was wonderful to see and to work with somebody with that kind of a passion for the institution, the students, the faculty, and the staff that worked here.” he said. “[Working with President Hunter] was fantastic. She’s an amazing, humble leader. I can take up a big space when it comes to trying to lead, and she knew what she was getting when she asked for me [to be her chief of staff]. She gave me the space to help her to the best of my ability. For her, it was easy, she did a lot. We talked a lot about leadership, being genuine, how she could make the university better,” Settele said. Settele gave many thanks to President Hunter for all of the work that she has accomplished during her time at UMaine. 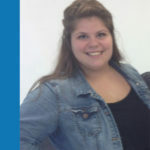 “I think putting the University of Maine on a sound footing to provide the best opportunities to students has been a huge accomplishment of hers. I think she has such a great connection with the administration, and she has such a good connection with faculty because of how long she’s been here and come up through the way that she has,” he said, “She brought out the best in everybody, which in turn, brought out record numbers in enrollment in a state, in a region, and in a country that has a declining demographic and universities around the country are battling with declining enrollments. Then, she comes in and we have two great years. Bottom line is that she put the university on a better footing to continue to be an important part in the state of Maine, the higher ed picture, not only to be a part of it, but to lead the state of Maine,” he said. When it came to reflecting on President Hunter’s character as a whole, Settele had no difficulty describing her. “She is honorable, humble and genuine. She is honorable because she always wants to do the right thing, and she does the right thing because it’s the right thing to do. She is honorable and her integrity was unquestionable. She is humble because she never was or has been full of herself, never pretentious, never condescending and has allowed people to grow. She is genuine because what you see is what you get. She is genuinely interested in what you have to say,” Settele said. “I heard Governor Baldacci say at the alumni event, ‘It’s not only that she has been the first female president, she’s been one of the best presidents that has ever served the University of Maine.’ I think people will look back on her time as president and where she was able to go ahead and get us in a financial sound position where she was able to increase enrollment. She will tell you that it’s not her and it’s all the people around me, but if you think about that, isn’t that what leadership is? We are, as an institution, in a world where higher education is struggling, and the University of Maine is surging ahead,” Settele said. “It’s been an honor for us to have her [Hunter] as president. We’re a better institution because of her presidency and wherever she’s going after this, which is probably on a kayak in the middle of Pushaw Lake, we will always be thinking about the great things that she did. Everybody else that’s been around her that are smarter in their jobs because of her. That’s part of the legacy she’ll leave behind,” Settele said.